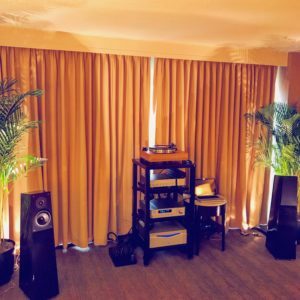 HFS and Julien Pelchat of Verity Audio had a great time playing music and showing off the systems in two rooms at AXPONA 2017 in Chicago. Visit our HFS Facebook and HFS Instagram pages for more great pictures and updates. 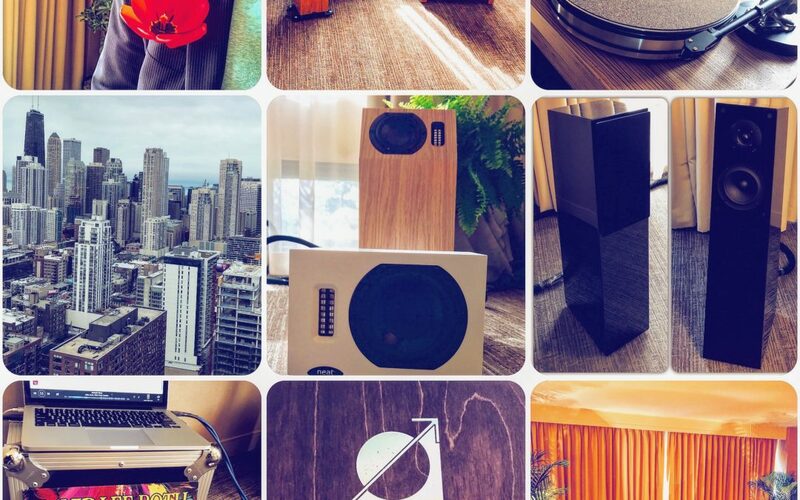 Meanwhile, next door in Room 338 Julien and HFS founder Paul Manos were busy entertaining music lovers with a rare public showing of Verity Audio’s most affordable, compact loudspeaker the beautiful Finn. 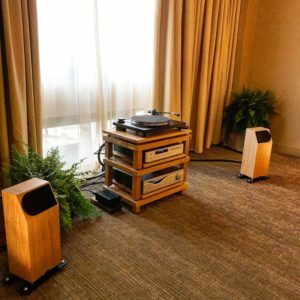 Also making their debuts were the brand new Audia Flight FLS4 power amp and the AnalogueWorks TT2 turntable. And again cabling was another debut from Greece’s Signal Projects with their incredible “hybrid” copper/silver/gold cables from their Andromeda Series, while Vibex’s Alhambra/Granada provided perfect power and HiFi Racks Ltd.’s Grand Stand did a bit of grand standing of its own whilst providing the ideal platform for the components. Yes, we had fun and will continue to have fun at the forthcoming LA Audio Show in June!